With over 40 years of experience and over 35,000 happy customers boosting our reputation, we are happy to provide local homeowners with gutters, doors and replacement windows in Hudson. You can rely on Huff ‘N Puff to always give you the best in prices, quality and service whenever you hire us to do the job. We use the best products installed by professionals to ensure that your home upgrades stand the test of time and are strong when you need them most. We do more than just windows in Columbia County NY. We’ve expanded our services to guarantee that we can service more areas of your home, and so you can take advantage of the honest, quality service you’ve come to expect from Huff ‘N Puff. With our home improvement options, your home is more energy efficient, more secure and safer for your family. 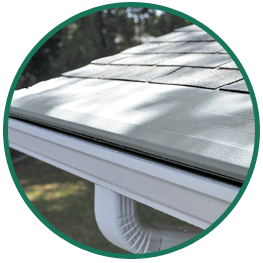 New gutters keep your roof safe from leaking, while gutter covers keep your gutters free from debris and dirt. New windows keep you warm during the winter and cool during the summer without overtaxing your air conditioning unit. We are in the business of improving every home and saving our customers money while we do it. We treat every home as if it were our own, and every job receives the same quality treatment regardless of the size. Every customer is important to our business, and we value your satisfaction above all else. We take pride in our work that allows you to take pride in the way your home looks and functions. Enjoy peace of mind about every aspect of your home when you choose Huff ‘N Puff. Call us today at (855) 483-3678 for a quote and see for yourself why customers come back to us again and again.